Last year, game developers Bloober Team released one of the worst rated titles on the PS4. This year, they’re back with a horror game with a very unusual premise—and it’s actually pretty damn good. 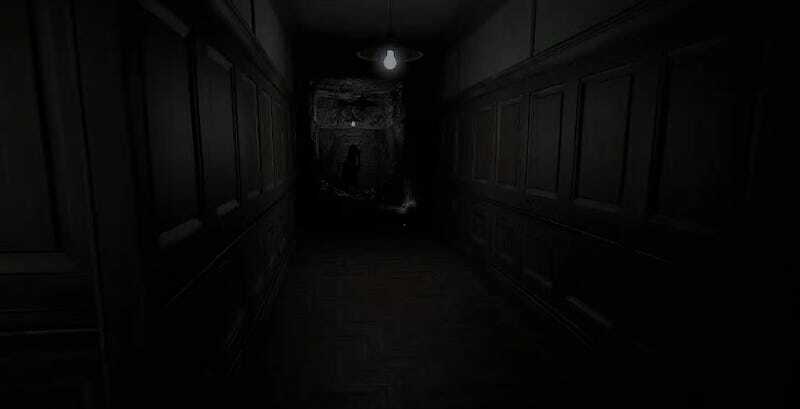 This is something that has caused a number of comparisons to P.T. And sure—there are definitely some influences there. Much of the scares come from exploring the mundane, only to watch it twist and turn into something unrecognizable and horrible. There’s also a lady that evokes a very Lisa-like feel. But I don’t want to reduce it to a P.T.-like—it’s definitely got its own unique thing going on. Starting out, nothing seems out of the ordinary in the game. It’s just a house. But after a while, you notice that actually, everything around you is changing. It’s got a very House of Leaves thing going on, where the deeper you go, the more expansive the maze gets. You’ll enter one room, turn around, only to notice the door isn’t there anymore. Or that retracing your steps means going through an entirely different path that wasn’t there before. Or that, no matter how many times you go through that new door, it’ll just throw you back into the room you were in before. It’s dizzying, but not in a frustrating way—rather, in a psychological way. At certain points, I wasn’t sure if what I was seeing was real, or if my brain was playing tricks on me. I’d look at paintings, sure that they were following me with their eyes, or that they had changed somehow while I wasn’t looking, only to revisit footage and realize that no, that never happened at all. Layers of Fear messes with your head like that. The more you play, the more you find clues of the ghastly things you’ve done in your madness, as well as clues as to how deeply you’ve fallen into your alcoholism. Occasionally, you’ll even hear or see terrifying specters of things that used to exist in your life. It’s not perfect—there are a number of really cliched grafitti marks around the house that made me roll my eyes, and it’s a bit overzealous with the jump scares—overall, I was really impressed with just how great this horror game is. It kind of came out of nowhere, and yet its one of the most creative premises in a horror game I’ve ever played! You can watch me play through the first 50 or so minutes of the game in the video above. Do note that it starts off a bit slow, and then descends into full-on nightmare around the 12:45 mark.